Father's Day snuck up on us quickly this year! If you're still searching for the perfect gift, but are worried you'll be short on time, here are some ideas that can help you find an appropriate gift for dad so that you're not empty handed come Sunday. Now, every dad is a little bit different so you'll need to think about your dad's interests and hobbies when selecting the perfect gift. Is your dad a thrill seeker or tech geek? 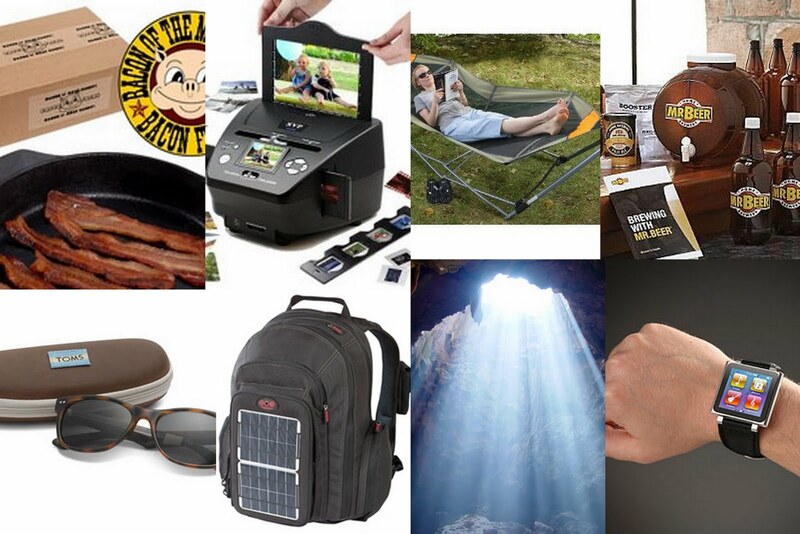 Is grandpa all about gadgets or the great outdoors? Here are a few ideas that might appeal to men from a wide variety of ages and lifestyles. Nice shades, I didn't know TOMS made sunglasses. Hopefully they will give one pair to a child in need of stylish yet UV protective sunglasses somewhere in South America.